The wall light Light-au-lait is more than just a light, it?s a real piece of Art. Designed by Fabien Dumas and Ingo Maurer in 2004, this lamp is made of a saucer and a tea cup. You can light it by pulling on a spoon attached to a stainless steel chain. 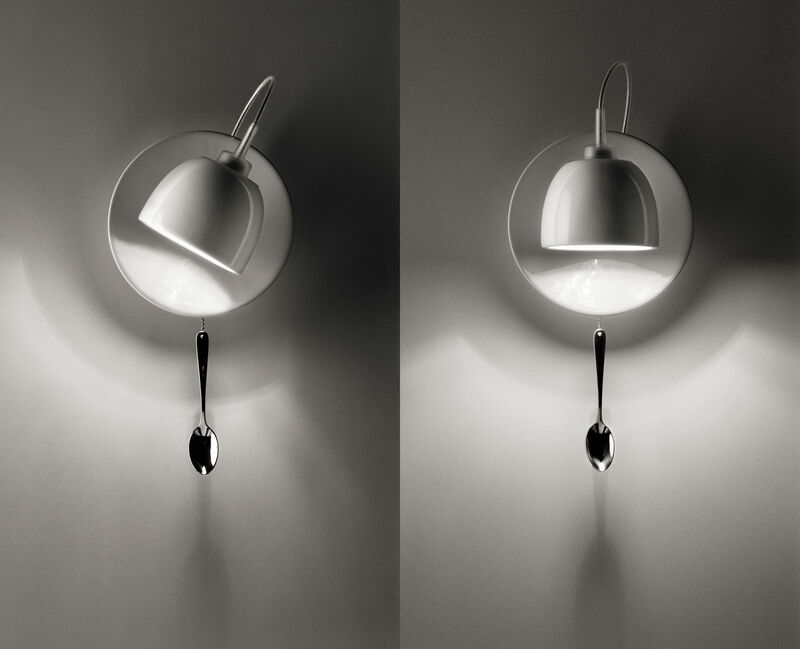 Ideal for the kitchen, this wall light will also be perfect for public places, cafés and restaurants. The Light au Lait features an on-wall socket, but can also be mounted with an in-wall socket. The 200 cm cable is equipped with a plug, simplifying the lamp's installation.